I’m so excited to share with you the adorable teacher gift that we made just-in-time for Back-to-School! I found this idea on Pinterest and thought it was the cutest thing ever! (What did we all do in the days before Pinterest??) This project was originally done by Amy at The Happy Scraps. Go check out her blog…EVERYTHING on there is fabulous! To begin, I cut out some flower shapes using the George cartridge on my Cricut. 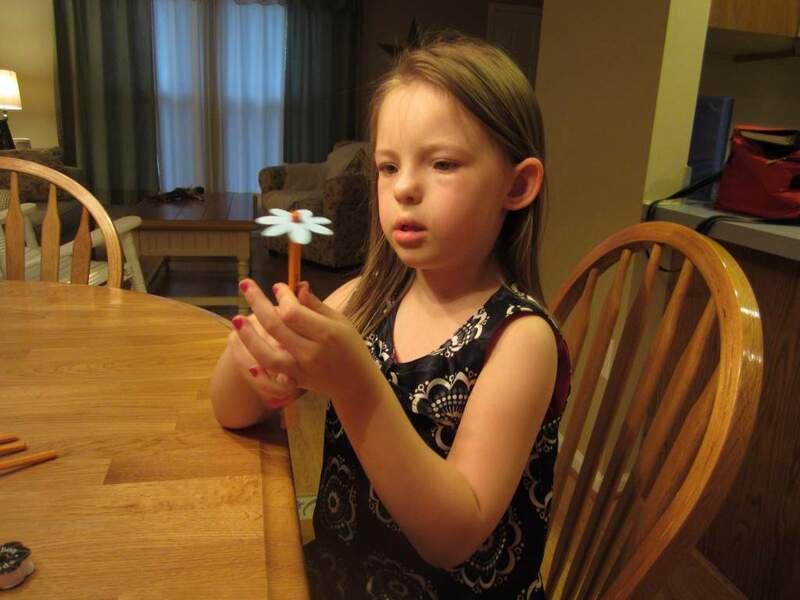 After a bit of experimentation, I discovered that a 2″ flower worked best. It was the perfect size to fit over the eraser of the pencil. 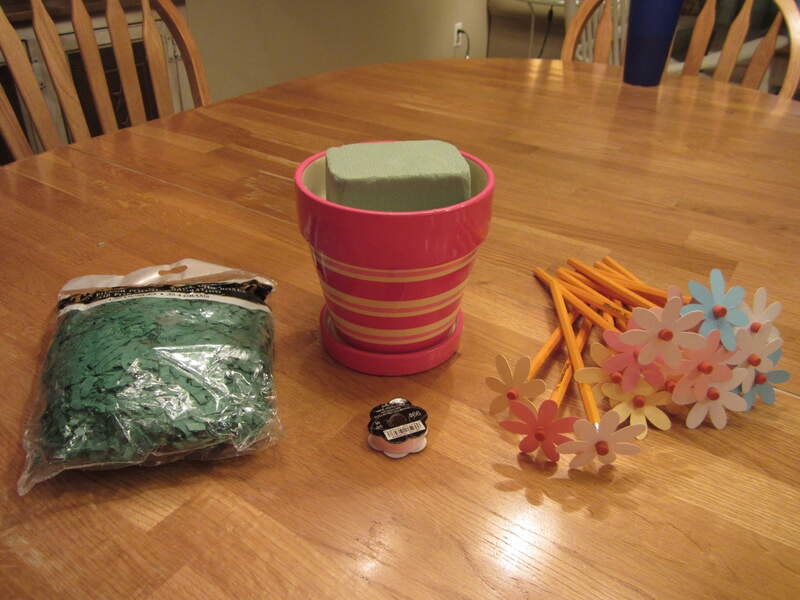 Next, you want to cover the foam with the grass, and then insert the pencils into the foam to resemble a bunch of flowers. 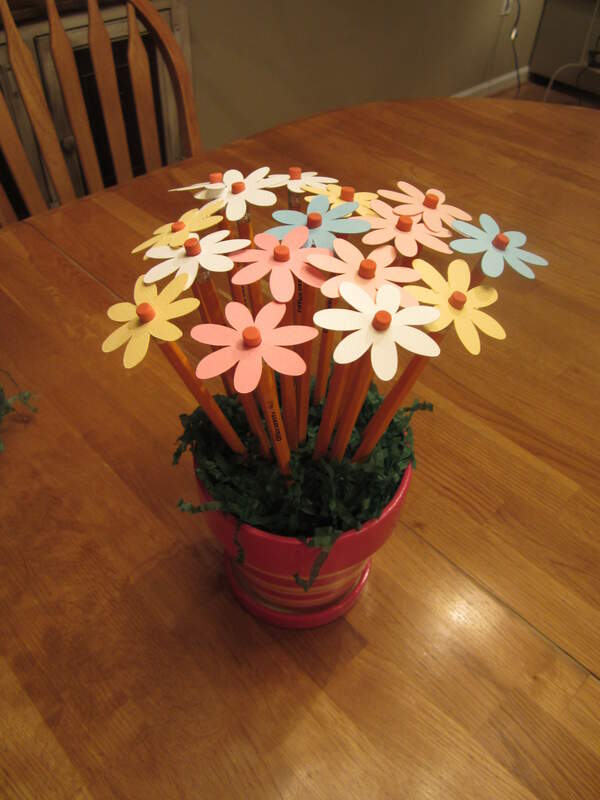 My daughter helped me get the pencils arranged….it was a bit tough, but she was still able to do it! Next week, I’ll show you a fun project you can do with the cheap composition books that are available right now during the back-to-school sales. This looks so nice and would make such a good teacher gift. Very cute! Maybe a great Christmas gift since I didn’t knwo about back to school gifts, lol! Thanks Rachael! It would be a great Christmas gift…or even a birthday gift 🙂 Thanks for stopping by! Love it, Erin! Love that it was so easy to make, too. 🙂 I’d like to do some more pinterest inspired projects with the kids once the baby gets a little older and isn’t in my arms as much. Hello, how do you cut out the flowers please? Hi Caro, thanks for stopping by! In the post I mention that I used my Cricut paper cutter to cut the flowers. 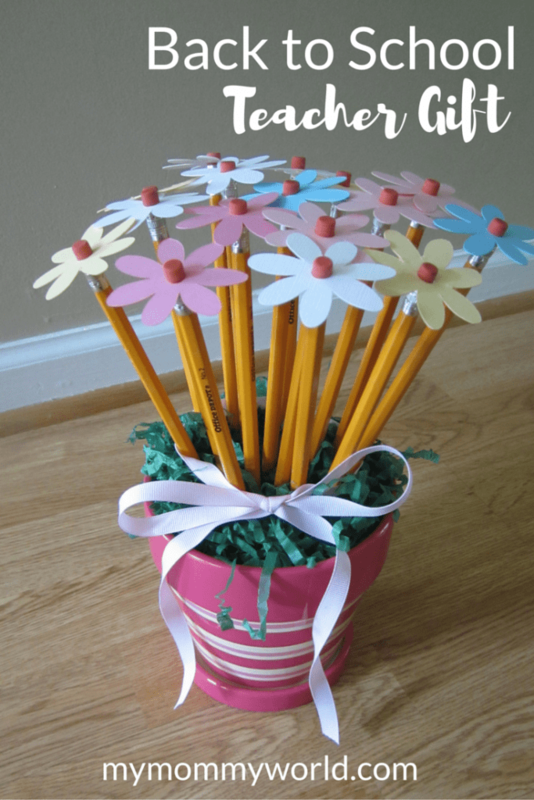 You could also use a flower-shaped paper punch or cut them by hand if you don’t have a Cricut. I love this project! 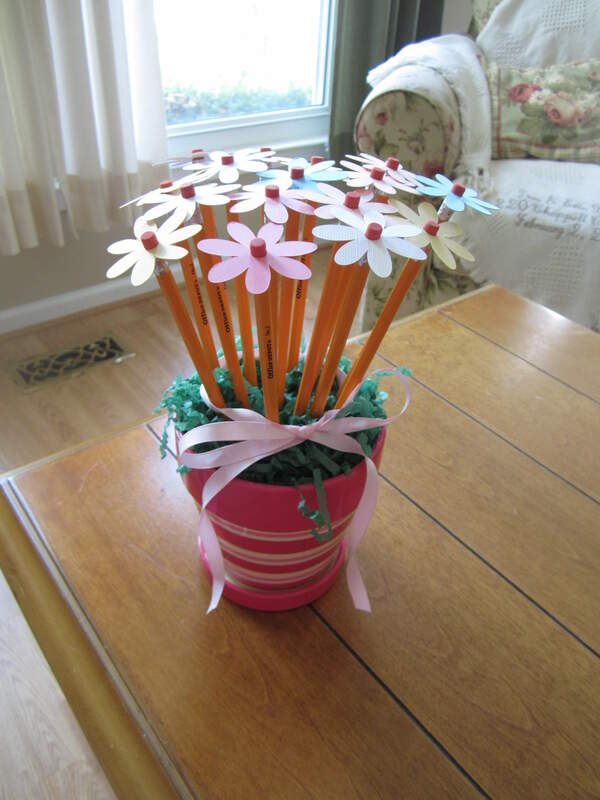 I bet teachers would love a pretty bouquet of pencil flowers! Thanks for linking up to the Ultimate Pinterest Party this past week. I will be featuring your post at this weeks party that goes live on Friday! Can’t wait to see what you link up this week! What size pot did you use? Thanks!